AeroGeo, a Krasnoyarsk-based private aviation company, announced the delivery of the seventh Twin Otter Series 400 to its base in Kransoyarsk’s Severnoe airfield. The 19-seat twin turboprop manufactured by the Canadian Viking Air Ltd is one of the ten aircraft ordered by Russian oil and gas company Rosneft in December last year. AeroGeo is the operator, which continues to provide DHC-6 commissioning, ferrying and MRO services for Rosneft. Earlier the company was approved as the type’s authorized maintenance center. According to the company, the eighth DHC-6 will leave the factory for Russia in mid-October, while the final two aircraft are scheduled for delivery in late 2016 and mid-January 2017. 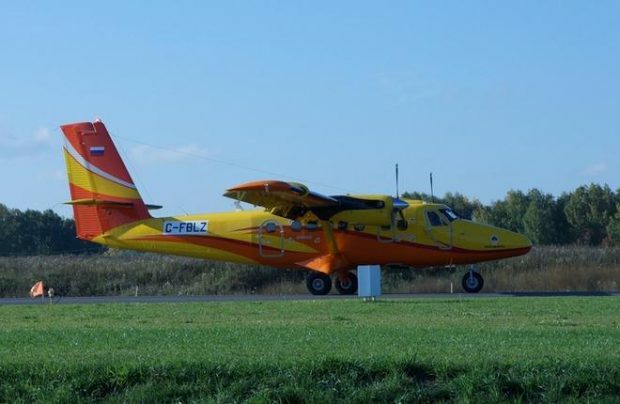 However, only one Twin Otter out of the seven aircraft received by Rosneft has so far been placed with the operator. Namely, in August this year AeroGeo added the aircraft with RA-67288 tail number to its air operator’s certificate.